"With this budget, we demonstrate again that we can be fiscally responsible and compassionate at the same time,'' Cranley wrote in a letter to the nine council members that accompanied his budget. "When passed, this will be our fourth consecutive structurally balanced budget." The budget now goes to Cincinnati City Council, which will hold public hearings on the budget; and must pass a city budget by the end of June. There was one thing in Cranley's budget that almost certainly will make most city council members happy – he eliminated Black's proposal to raise the parking fine from $45 to $60, which would have raised $900,000. Several council members complained about Black's proposal when he laid it out for them at Monday's finance committee meeting. "Sixty dollars is too much of a sticker shock if you are late getting back to your car,'' Cranley said. Cranley, a candidate for re-election to another four-year term, formally unveiled his budget at the Villages of Roll Hill, formerly Fay Apartments, a small neighborhood made up mostly of subsidized housing. There, he announced an agreement between the city and the Boys and Girls Club to open a branch in that low-income neighborhood. 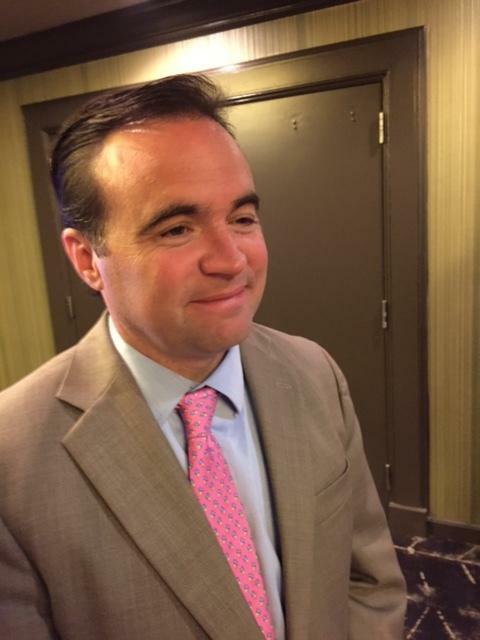 Earlier Thursday, Cranley told WVXU in a phone interview that Black's budget proposal was "overall" a good one – it just needed some "tweaking," the mayor said. "It's largely the same,'' Cranley said, comparing his budget plan to the city manager's. "We've made about $3 million worth of adjustments that still remains structurally balanced. "We have restored the cuts to human service funding and to neighborhood community council and to the Port Authority and things like that,'' Cranley said. Among the budget cuts Black proposed that are restored in Cranley's budget are cuts to the Fountain Square fund, the African-American Chamber of Commerce, the Cincinnati Works/Hands Up Initiative and $772,500 in Human Services cuts. And how does he pay for the $3 million he restored? Cranley said about $2 million will come from moving funds from the city's nearly $400 million operating budget to a separate storm budget. He said he will also permanently eliminate some funded city jobs that are now vacant, "and a variety of non-personnel cuts" in city departments. Cranley's budget contains Black's proposals that parking meter rates be raised by an average of 25 cents per hour and that the city contract with a booting service for parking fine enforcement. Those two items would generate about $1.2 million. But Cranley said he is willing to work with council on both of those issues. Some council members objected to those items in Monday's finance committee meeting. Cranley said his budget does not address an estimated $19.7 million budget deficit for 2019, but the budget document Black submitted does. The city manager's budget recommended plugging that 2019 hole with a 4.7 percent across-the-board reduction in spending, including public safety. Cranley's budget has none of that; and he didn't offer any specifics when he spoke to WVXU on how he would deal with it if he is re-elected mayor this fall. "Assuming I am re-elected, and I hope to be, we will structurally balance the budget again next year,'' Cranley told WVXU. "And I don't say that without a track record of having delivered it four years in a row." And a delay of the start of the Fiscal Year 2018 police recruit class by six months (a $2.3 million savings). Cranley said he agreed with most of the city manager's budget. "Overall, I think it's a good budget, but I was able to tweak it to reduce parking fines and to invest in our job training efforts and to announce this partnership with the Boys and Girls Club,'' Cranley told WVXU. Council's finance committee has three hearings scheduled to allow the public a chance to weigh in on the city budget. The first is on Thursday, June 1, at the Mt. Washington Recreation. The other two will be held Monday, June 5 at the Dunham Recreation Center and Wednesday, June 7 at the North Avondale Recreation Center. All of the public hearings will be held at 6 p.m.